I LOVE FALL. The cooler weather, comfy sweaters, cozy boots, and pumpkin everything! Now that’s fall is finally here, I can really start getting into these projects I’ve had stored up in my mind all summer. 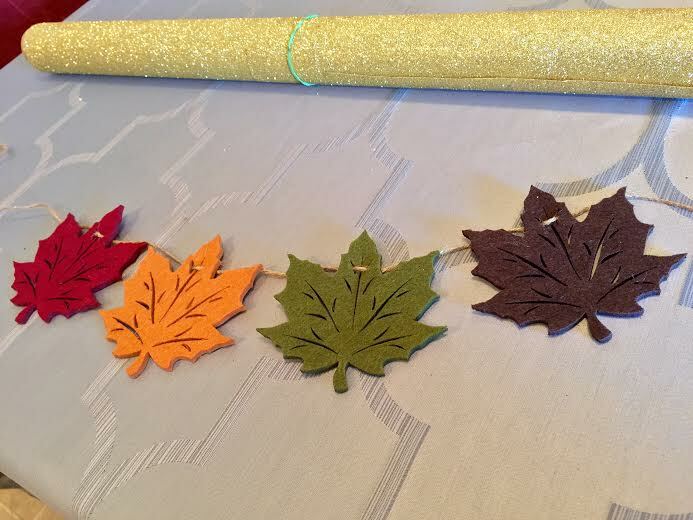 When I came across these thick leaf drink coasters on a recent shopping trip, I knew exactly what I wanted to use them for- a easy and inexpensive fall banner! I used a giftcard for the coasters and all of the other items I had at home, so it literally cost me nothing extra to make this. Want to pin this & save it for later? Click here. First prep your glitter paper with hairspray if you have some. Have you heard of this trick? I do this for all my glitter projects. 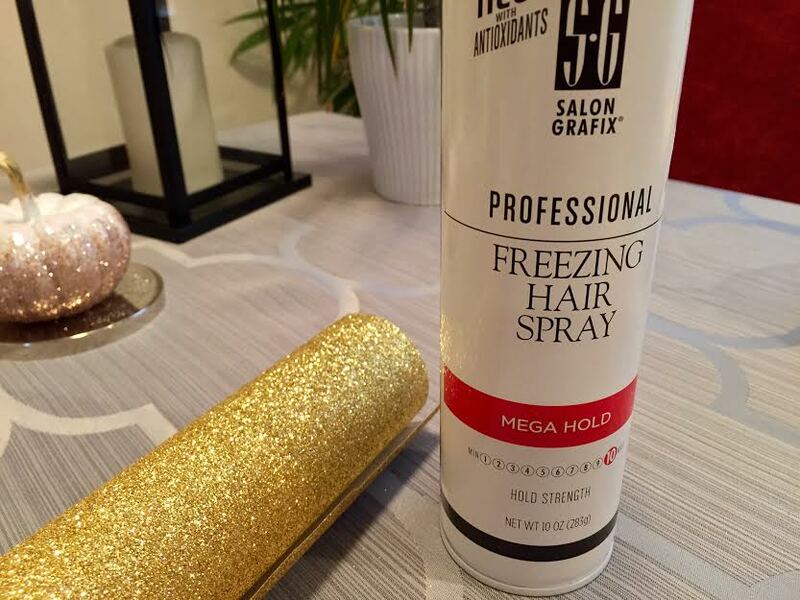 Just a couple of quick sprays helps the glitter from falling off everywhere, and creating glitter-covered everything (you’re welcome, husbands). You can find most glitter paper/cardstock at craft stores, but you can also easily make your own with loose glitter, glue, and paper. Use what you have! I’m a big fan of this. A lot of my favorite projects are created by just looking around and thinking, “what do I have?” If you don’t have twine, use ribbon. 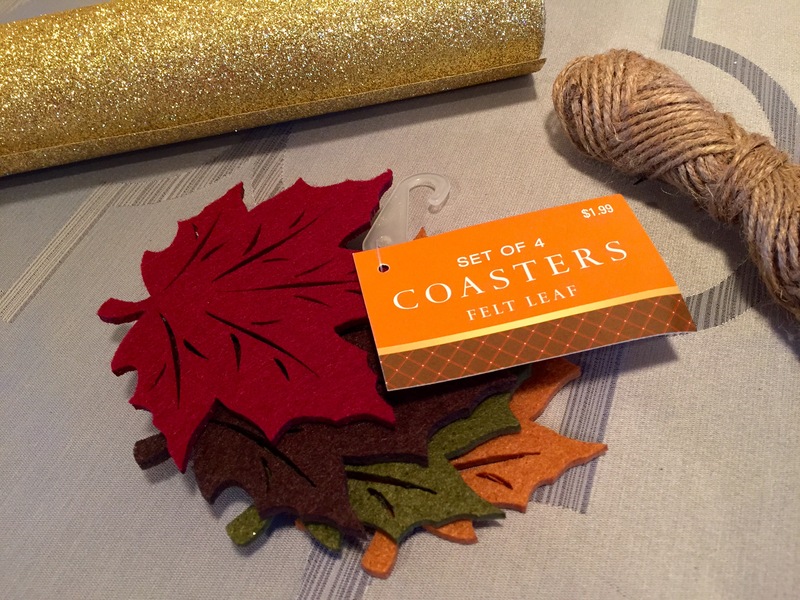 If you don’t have these leaf coasters, make your own leaves out of colored paper or fabric- do whatever you want! This is your creation. 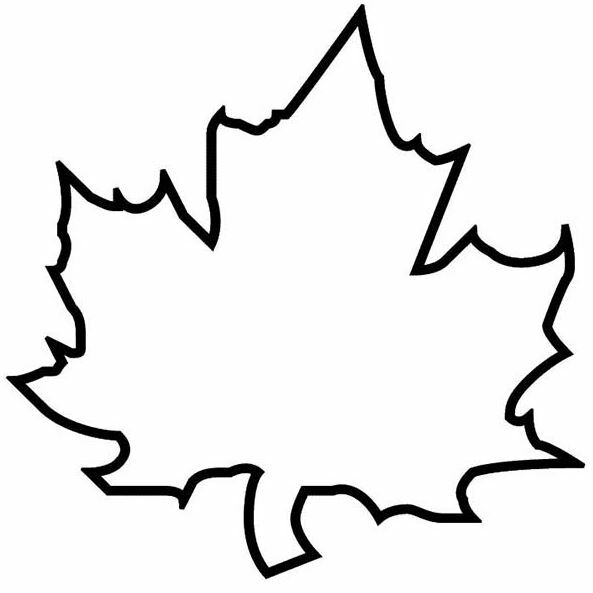 While the hairspray is setting, lay out the leaves in the way you would like them to be. I like these coasters because they already have holes at the very top for you to weave your twine as in the picture below. Thread it through as shown below. Congrats- you have literally just made a banner. Now time to make the word “fall”. You can create any word you want, with more leaves you could easily spell out “thankful” or “harvest” or whatever you want to make. 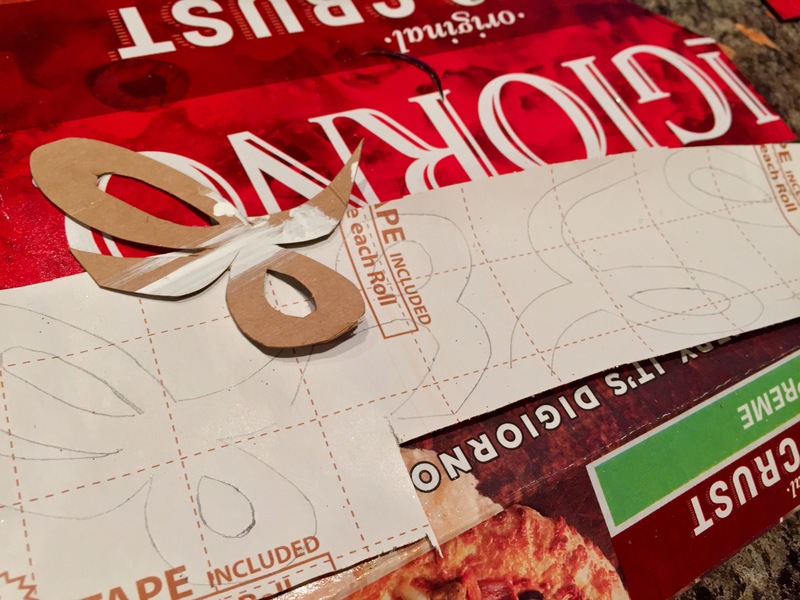 I created a stencil by drawing on a pizza box (or use any stiff paper, this is what I had) and then traced it on the back of the glitter paper (see below). If you’re doing this, remember to trace the letters backwards! I’ve made this mistake before… and made mirror-image letters… let me save you the trouble. If you don’t want to freehand this part, click on this picture for some stencils I’ve created for you in a few of my favorite fonts. 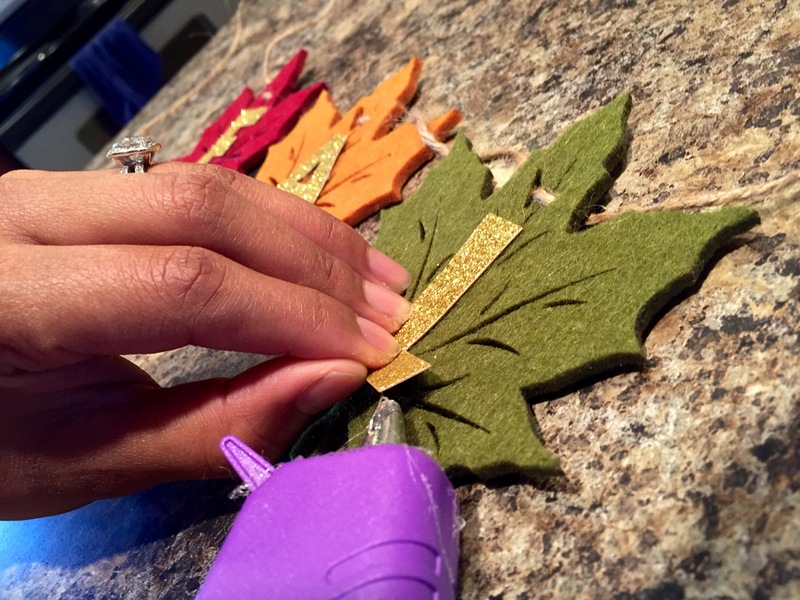 Then you want to cut out the letters and hot glue them to the felt leaves. Be very careful- once that glue is on the felt it’s near impossible to remove, so position the letters first and then add a little glue at a time. I love the way this banner turned out! I put mine on a pumpkin decoration I made at a free “do-it-herself” workshop at Home Depot, that I talked about in my last post. I couldn’t decide on cursive or block letters, so I made both styles (one on each side of the leaves). I think I like the cursive one better… what do you think? Click here to pin this and save it for later. 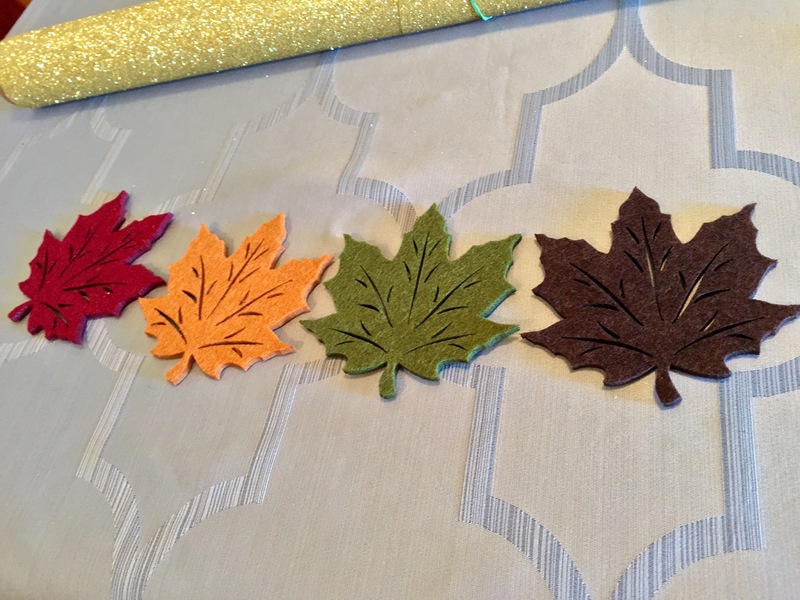 Let me know if you plan on trying this and how it goes- I hope you love making this fall banner as much as I did! Previous Deal Alert: Free DIY workshop at a Home Depot near you! So cute. And that hairspray tip for glitter is really gonna be a lifechanger! Cute! I like the cursive letters, too. I absolutely love this!! And something you can store to use each year:) Pinning this for sure!! That´s such a lovely and easy idea! I love it and probably going to recreate it! Also, yes, fall is such a lovely time! I´m so excited, today I found the first red and yellow leaves on the ground! Finally! Thank you! I can’t wait for that to happen here🍁🍁🍁🍁😍😍😍 so pretty!! This is too cute! It will go perfectly on my mantel. Thanks for the idea! 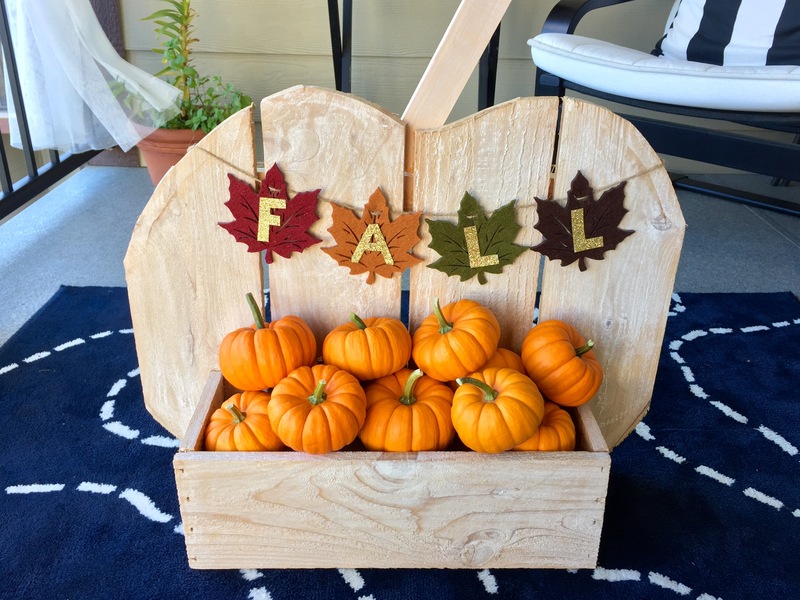 What a great and inexpensive way to celebrate Fall. 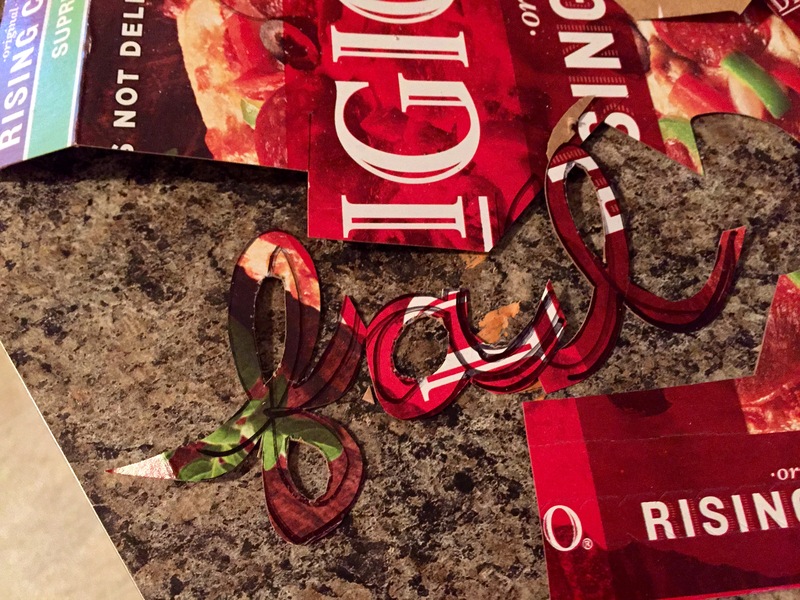 Who says we have to spend a lot to make nice seasonal decorations? Thank you for the great post! Aww thank you for stopping by! 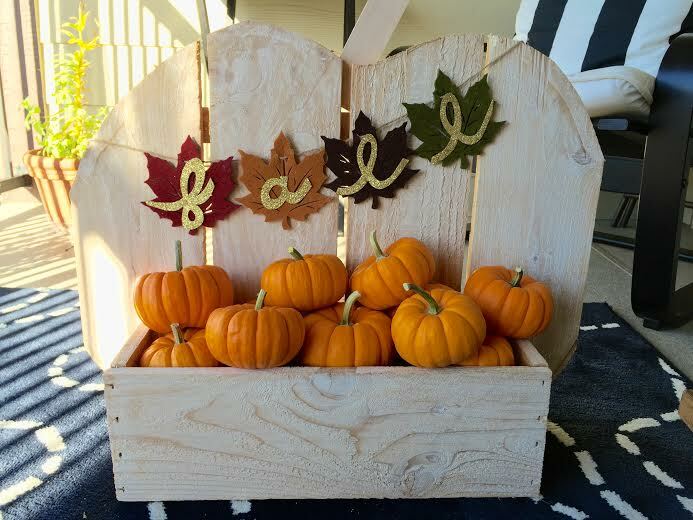 I have to remind myself not to go crazy with decorations everywhere- I love fall so much!